Whether you’re a first-time visitor or making a return trip, the sheer majesty of New Zealand’s landscapes is always awe-inspiring. There are peaceful lakes and thundering waterfalls, active volcanoes and the looming icy peaks of the Southern Alps as well as beautiful sandy beaches. The country is the ultimate destination for those who are looking for an adventure holiday to explore the natural wonders and discover wildlife found nowhere else in the world. Beyond the scenic bounty, New Zealand also offers world-class local food, wine and accommodation, and friendly, welcoming people. From Auckland at the top of the North Island to Invercargill at the bottom of South Island, Liz Light describes and illustrates the epic scenery, the heritage attractions, the unique Maori culture and the renowned wine regions that make up a memorable trip to the country. 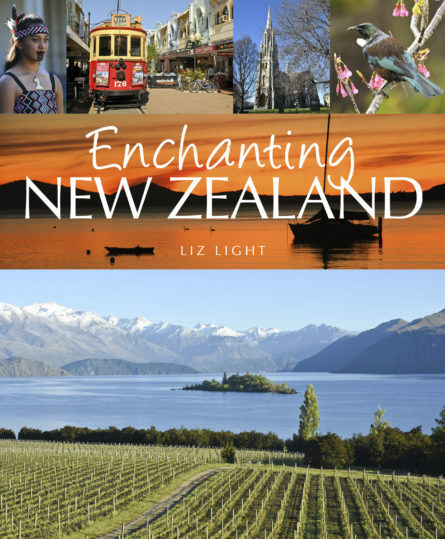 Liz Light is an Auckland-based travel writer and photographer. She travels extensively but it is New Zealand, her homeland, that holds her heart. She utterly loves its splendid scenery, and its open, new-world attitudes and ambience. Liz has won numerous awards for both her writing and photography.